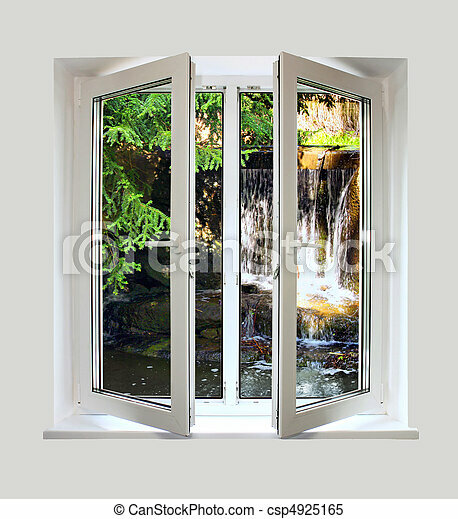 Open plastic window with a kind on waterfall. 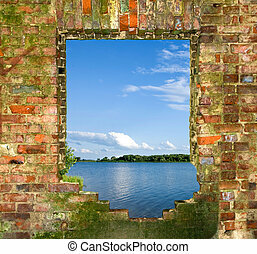 Open white plastic window with a kind on waterfall. 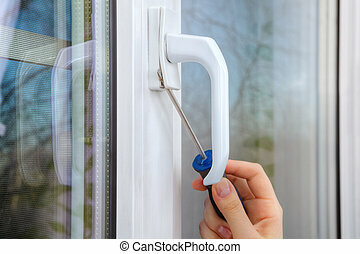 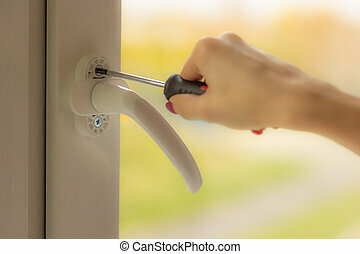 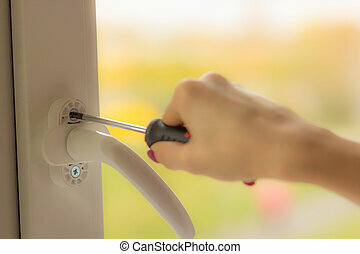 Dismantle the handle on a pvc window using a screwdriver, close-up of a hand with a tool. 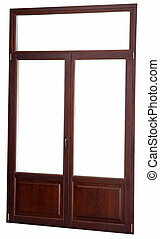 Plastic window with double glazed windows, simulates the dark mahogany. 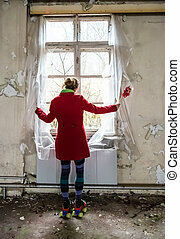 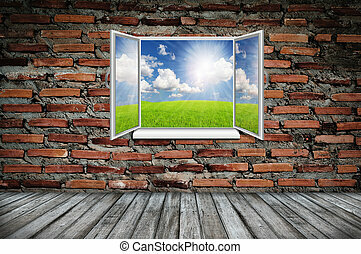 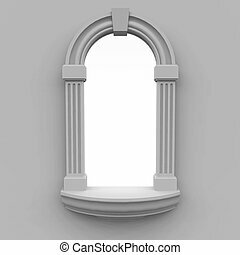 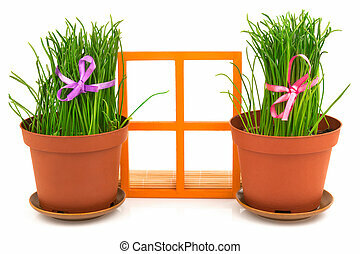 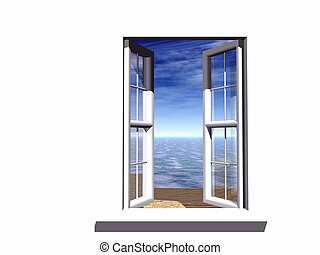 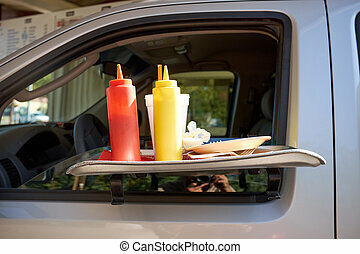 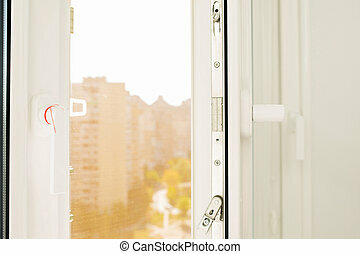 Closed window with double glazed windows, the color of dark mahogany, isolated image on a white background. 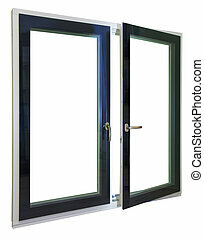 European Tilt Turn window being opened in both directions, either tilted in vertically or pivoted horizontally, all from a single handle.